Sandy Straits and Beyond: Get Ready! Get ready all you bird watchers in the northern hemisphere. 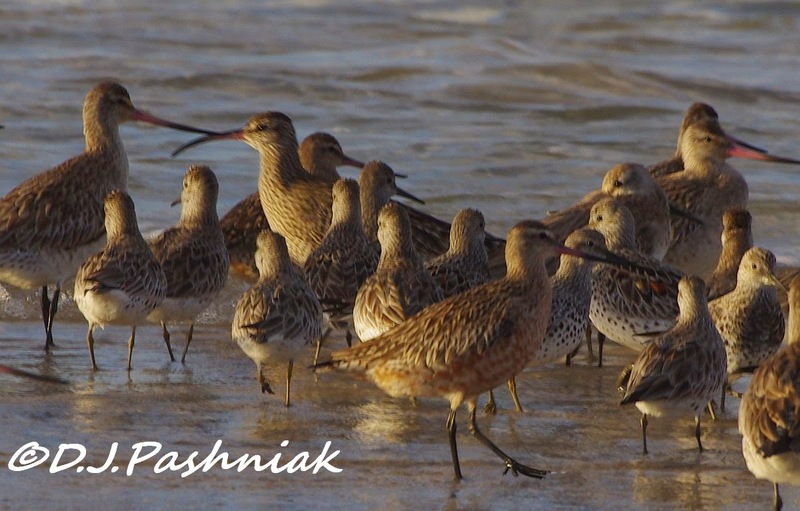 The shorebirds are returning for the northern summer! When I went out to Inskip Point the other day most of the birds were showing some breeding colors and some were really brightly colored. The area of sand out on the point is so much smaller after the big wash-out that happened last year. There really is not enough room for people and cars and birds. If you want to see birds roosting right on the point then you must be early! I left home in the dark and was out there just as the sun was coming up. Even then, I wasn't the first out there and the barge was already operating and taking cars over to the Island. In behind the higher trees the sun was still hidden and the colors were washed out. A little further along the shoreline the waves were very blue and flecked with foam. There was a small group of shorebirds and terns right out on the southern end of the point. They were standing on a slightly higher piece of sand where they were still out of the rising tide. I got as close as I could without disturbing them but this put the sun in the wrong direction for bright and beautiful photos. I hoped they might move a little as the tide came in further - but instead they flew off to the sand island in the middle of the Strait. The Godwits especially were showing bright breeding colors. The males are the brightest with full red fronts. The females show flecks of bright color and a softer wash of color down the front.This photo also has a juvenile Crested Tern (on the left) with black and white "spotty" color and a Caspian Tern on the right. That big red bill is unmistakeable! The light is very poor in this photo but there is a Whimbrel in the center left with its down-curved bill a big contrast to the Godwits. There are also Great Knots all crowded together. 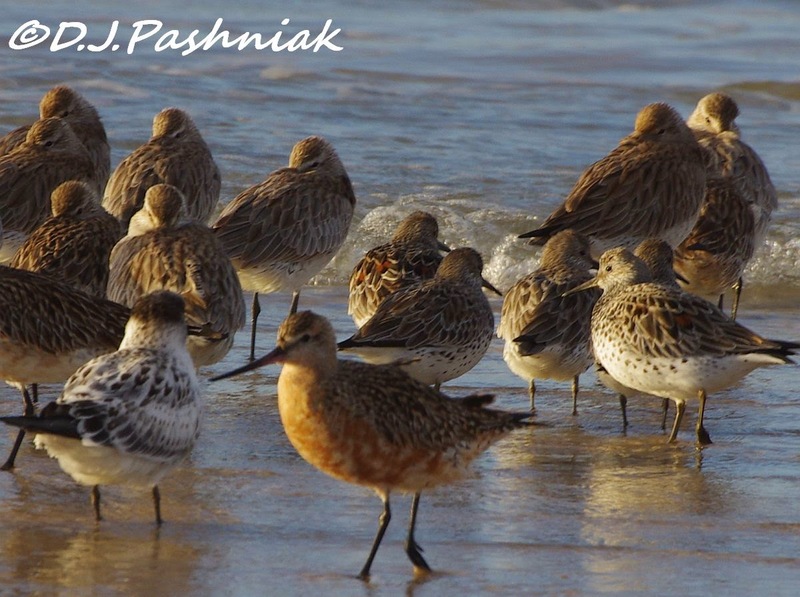 The Great Knots were heavily spotted down the front and on one of the birds in this photo the bright chevrons of orange color are showing on its back. Further out on the bay there were groups of Pelicans swimming and Pied Cormorants flying around. The sand island was packed full of birds - shorebirds and terns. 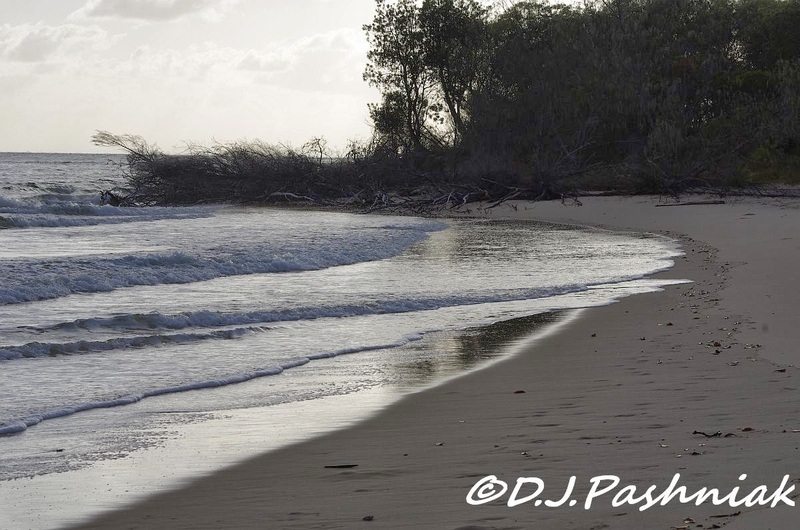 I hear bush birds as I am walking out to the point but I seldom stop to even look. Instead of sitting in the one place as the shorebirds do they are constantly moving in the bushes - sheer frustration for the photographer wanting a well-posed photo! However, there was a group of little Red-backed Fairy-wrens close to the track and this one stayed still for long enough for a photo. I always enjoy the captures of your world, Mick! I have to admit that the little guy in your last shot is definitely my favorite for today!! Delightful! Have a great new week! Enjoy! Hi Sylvia, that bird is one of my favorites too - so tiny and so busy and so fearless. I am SO ready! It will be awhile before the water birds don't need ice skates here, though. Hi Cynthia, it doesn't feel like the end of summer here either - the temp was up above 95F yesterday - I hope the birds are right and it cools down soon - and for you that it gets warmer soon! 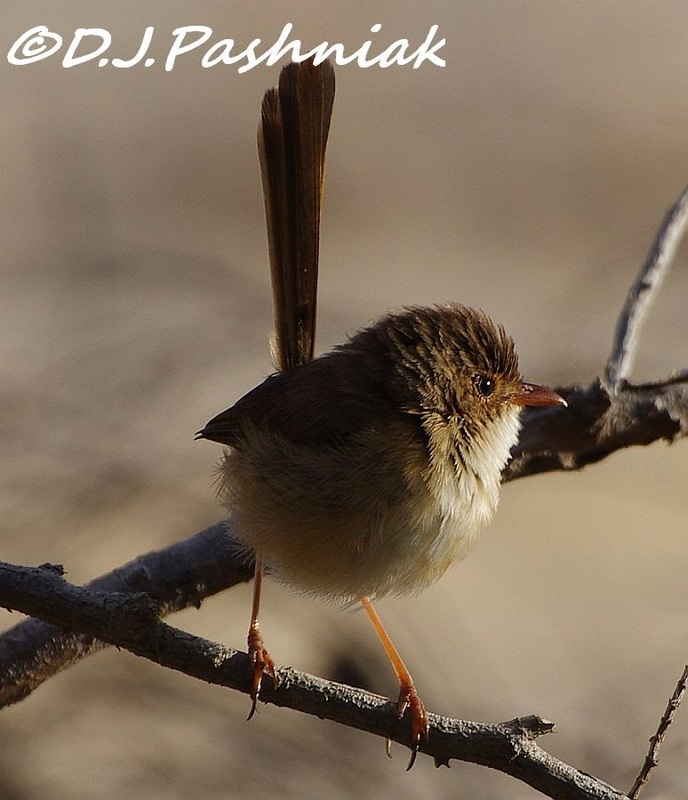 I am looking forward to the spring migration and seeing our shorebirds return.. Love the photos, especially the last Red-backed Fairy Wren! Enjoy your week, happy birding! Thanks for commenting Eileen. I enjoy the shorebirds and don't look forward to them leaving. There are a few that stay over winter but not many. those tiny fairy wrens steal the show. :) love the shorebirds, too. Thanks Therese, I always look for the little bright male bird but I think it is too early in the year for them to be in their bright colors. Oh my! That last shot is breathtaking, Mick. Thanks for sharing. Thanks Valerie - they are beautiful little birds and I always think I can get a better photo of them - next time! Hoping to see a few of those birds but would never be able to photograph them as you do. That last shot of the wren is excellent. Thanks for commenting - and if you are ever down this way let me know and I can find some birds for you! The Caspian tern reminds me of those old children's puzzles: "One of these things is not like the others....". So I'm a bit of a slow learner (OK a lot slow) but am I right that you are telling us most of your shorebirds are preparing to leave you and fly north because it is Autumn where you are? Thanks for commenting Sallie. Yes, you are right - it is Autumn now down here - and I obviously didn't make that very clear - sorry - the writer is at fault not the reader! Hi there - it sad to see them go. Have you been up to Broome to see the waders leaving - I really want to go. Our banding group does a trip up there - but work and play don't always go together! I will be posting some waders from America this week instead of our Australia ones. Hi Stewart, Broome is one of those places I just dream about. Even when you finish work you find you can't do all the things you want to do!! I look forward to seeing your waders from American. I will be up next week, hopefully there will still be some migrants left to see. Hi Mim, there will definitely be some shorebirds still here but not all. Good luck! I have the same problem here in gettng out early enough to beat the dogwalkers to the shore and the best birding spots.Those shorebirds are getting some real colour for their huge flights north. The Caspian Tern made me smile because it'd just so huge when you imagine that Bar-tailed Godwits are quite tall and comparatively large waders. Hi Phil, Wouldn't it be lovely to be able to watch and photograph birds without disturbances! The Caspian Terns are huge and their wingspread is amazing. Thanks for commenting. Great serie, so much to study closer! Well done! It's perfect for WBW! What a fabulous set of photos, the Godwits are begining to colour, as you say, and the water looks very inviting. Thanks for your comment Gordon- each year I hope to get a clearer photo of a Godwit with full color - but they are like that out here for such a short time before they fly off. The bay looks like a beautiful area. How awesome to see so many birds out there. Hi Gunilla - I love the water and really enjoy living here. Very nice shots and another birder haven! A great post Mick! 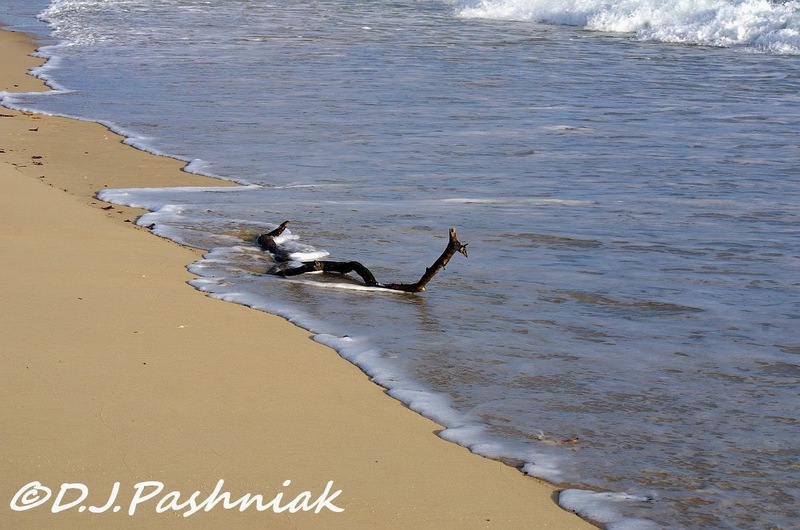 I love pelicans, and that fairy wren is so sweet! 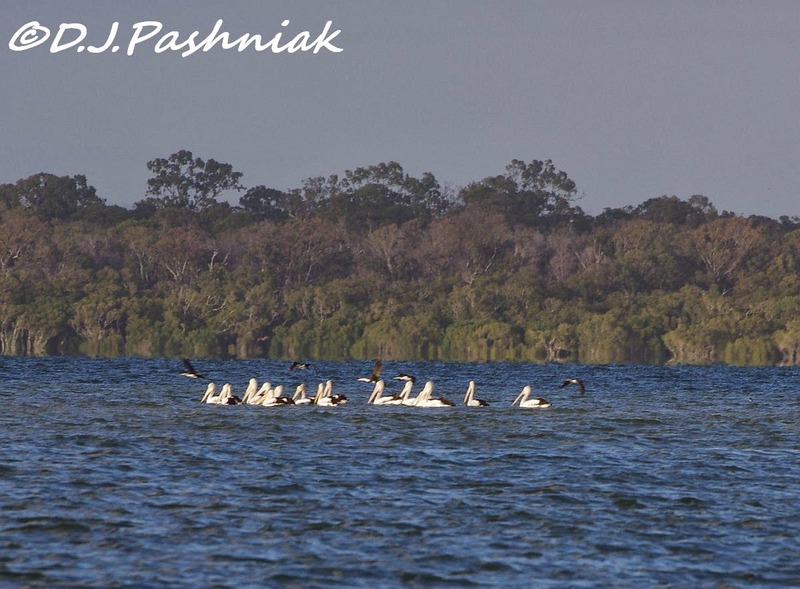 Thanks Karen - Pelicans are really big birds and the fairy-wrens so tiny! Real contrasts! Love that little wren. A very nice post. Thanks Carole, when the shorebirds leave it is so quiet around the roosts. they are all welcome to us! :) They seem dressed up already. The little wren is cute! Looks like we will have to get out to Inskip very soon. The little Fairy Wren is adorable. Very interesting post, Mick! It's always a treat for us to see shorebirds sporting their breeding plumage. We typically see most of them in the winter and they can be a bit drab. The Caspian Tern always looks like a bruiser with that huge bill! Your wren is mighty attractive! Splendid photograph!